In an op-ed published by Multichannel News, IIA Co-Chairwoman Kim Keenan discussed why rolling back Title II rules was the right step for the FCC. Keenan also said that we need a federal law with one set of clear open internet rules that apply to everyone in the internet ecosystem: no blocking or throttling of legitimate online content or unfair discrimination against content. We also need robust privacy protections that apply to all companies equally, she said, so that consumers can have consistent expectations regarding their online privacy, everywhere on the internet and no matter how they access the internet. You can read Kim’s full piece on the IIA site. 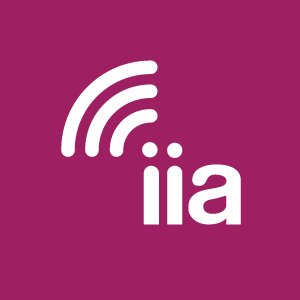 IIA released a statement on June 11 calling for Congress to pass, this year, a law protecting the core principles of an open internet — no blocking, no throttling, no censorship, no unfair discrimination based on online content. IIA also applauded the FCC for taking action to return the internet to an even playing field, but said that only Congressional action can settle the net neutrality issue permanently and ensure that the principles of a truly open internet will have the force of statutory law. Check out Bruce Mehlman’s op-ed, “How Congress got Telecom competition right, 22 years ago,” published by Washington Examiner on June 11, and his piece for Investor’s Business Daily, “Putting First Things First: Prioritizing Traffic On The Internet,” published on May 18.